Dr. Chee-Wee Tan is a Professor in the Department of IT Management at Copenhagen Business School (Denmark). He holds a PhD in Business Administration from the University of British Columbia (Canada) as well as Master of Science and Bachelor of Science degrees from the National University of Singapore (Singapore). Chee-Wee's research interests focus on design and innovation issues related to the delivery of digital services in various contexts. Particularly, he is interested in discovering how value can be extracted from digital services and exploring ways by which contemporary technological trends can contribute to the design of innovative services. Findings from his research has been presented at numerous international conferences and he has articles published or forthcoming in journals such as MIS Quarterly (MISQ), Information Systems Research (ISR), Journal of the American Society for Information Science and Technology (JASIST), European Journal of Information Systems (EJIS) and Decision Support Systems (DSS) among others. Chee-Wee currently serves as an Associate Editor for MISQ, Internet Research (IntR) and the Journal of Management Analytics (JMA). He is a past recipient of the Outstanding Associate Editor Award for services rendered to MISQ and is currently serving as a guest editor for two special issues: one on 'Embracing the Internet of Things (IoT) to Drive Data-Driven Decisions' at the Journal of Management Analytics (JMA) and one on ‘Omnichannel Business: Opportunities and Challenges’ at Decision Support Systems (DSS). 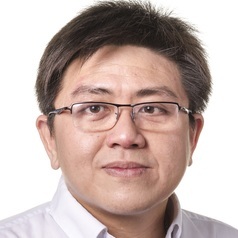 In addition, Chee-Wee is also serving as an advisory board member for Industrial Management and Data Systems (IMDS) as well as for a Special Issue on ‘Transformative Value of Cloud Computing’ at Journal of Management Information Systems (JMIS).